​Are you a contractor or architect in Northumberland County or the central Pennsylvania area? When installing HVAC systems in your projects, you want the most efficient and cost saving equipment that will not only give your clients optimum savings on energy consumption, but, also, optimum comfort in any weather. New technologies are changing the way homes and commercial projects are designed and built for exceptional performance. The cutting-edge technology to offer your clients for advanced energy efficiency, as well as, personalized comfort control, ultra-quiet priority function, and improved air quality, is the Mitsubishi Ductless, Heating and Cooling Zoned Comfort Solutions™. The Mitsubishi Electric HVAC Systems offer a vastly superior alternative to traditional heating and air-conditioning systems. Our smart system technology ensures that you are at the forefront of building innovation. TD Energy Experts, LLC, located in Coal Township, PA, is distinguished as an authorized Mitsubishi Diamond Contractor Elite. We offer a suite of individual zone and centralized system controllers to provide maximum energy efficiency and a personalized client comfort experience in every space. 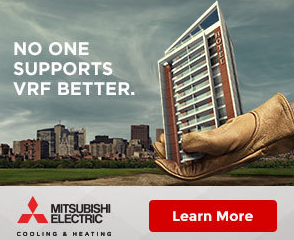 Considering that 48% of a building's energy costs is spent on heating and cooling, the savings you can offer with multi-zone or whole-building solutions by Mitsubishi Electric are sure to pique your client's interest. ​Zoned Comfort Solutions™ utilize green technologies and are up to 40% more efficient than conventional central heat and air equipment. The Mitsubishi HVAC Systems are ideal for commercial installations which include the following & more! 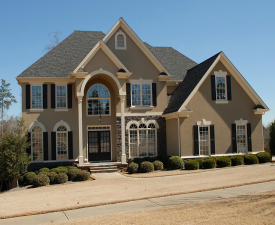 Builders: Offer innovative, energy efficient, cooling and heating options to fit any home’s design. 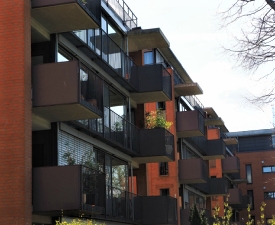 Install our Next-Generation HVAC in your Condo Projects to provide your clients with personalized comfort zones. 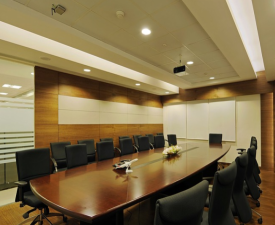 Mitsubishi HVAC provides ultimate comfort for Office Buildings & Conference Rooms. 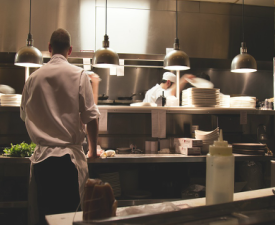 Mitsubishi HVAC units keep Restaurant clients & Commercial Kitchen staffs ideally comfortable. 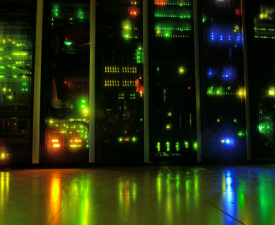 Protect Servers and Assets with high performance in any climate with consistent, correct temperatures. 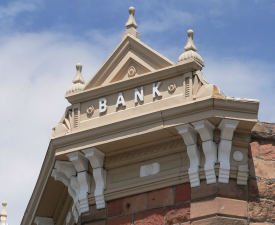 Install advanced HVAC in Banks & ensure perfect climate protection for Vaults. Our P-Series, professional line, is technologically innovative, advanced, and super-efficient systems that provide years of reliable and efficient operation for numerous installations such as small and large offices, restaurants, retail stores, guard houses, schools, banks, server/equipment rooms, hotels, banquet rooms, fitness centers, day care centers, and other light commercial, institutional, and large residential applications. Great application flexibility is possible with multiple styles of indoor units and complete building systems designed specifically for your projects. Mitsubishi Electric Zoned Comfort Solutions™ are so energy efficient that a majority of our INVERTER-driven systems have received ENERGY STAR® certification! Ask us about the innovative Professional HVAC Series. ​The CITY MULTI outdoor units feature a lightweight modular design with a minimal footprint, lower sound level, easy piping, maintenance and much more. Our Y-Series outdoor units are flexible enough to cool or heat up to 50 individual zones, maximizing building design options. With its expanded heating capabilities, the CITY MULTI® H2i R2- and Y-Series provides year-round unequaled comfort even in extreme climates, ​superlative energy efficiency values, and extremely high reliability. More than 15 years ago, Mitsubishi Electric Cooling & Heating brought variable refrigerant flow HVAC technology to the U.S. Since then, no manufacturer has done more to advance the technology and application of the most efficient, flexible HVAC system. As a global leader in VRF zoning solutions, you can trust that you’re receiving the most advanced technology and dedicated support in the industry. Our VRF experts have helped solve complex HVAC challenges in buildings of practically every shape and size across the country. Learn how we can help you design the system that’s right for your building. ​When investing in Mitsubishi Heating and Cooling Systems, you can take advantage of tax incentives on your HVAC purchases, and reduce the cost of your initial investments! The Tax Cuts and Jobs Act has been revised to include HVAC system purchases. 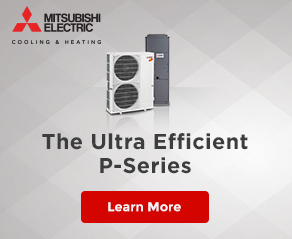 After discovering more about all the amazing benefits Mitsubishi Heating and Cooling Systems offer, you will easily understand why Mitsubishi Electric ductless (or zoned) systems are the fastest growing and #1 selling segment of the American air-conditioning and heating market with over 30 years of industry leadership. ​Mitsubishi ​Advanced HVAC Technology in your future projects.